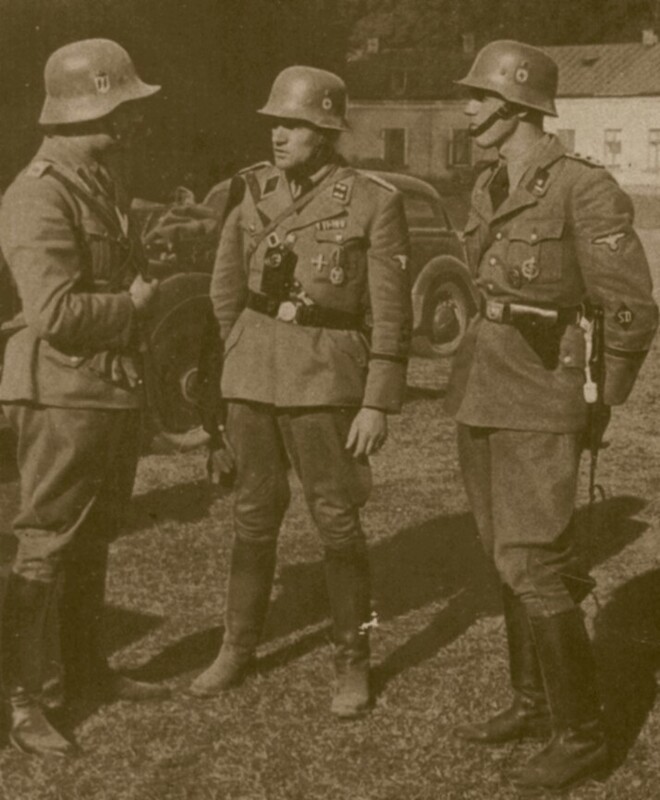 The Einsatzgruppen were special SS mobile formations tasked with carrying out the mass murder of Jews, communist functionaries, and others deemed unfit to live by the Nazis. 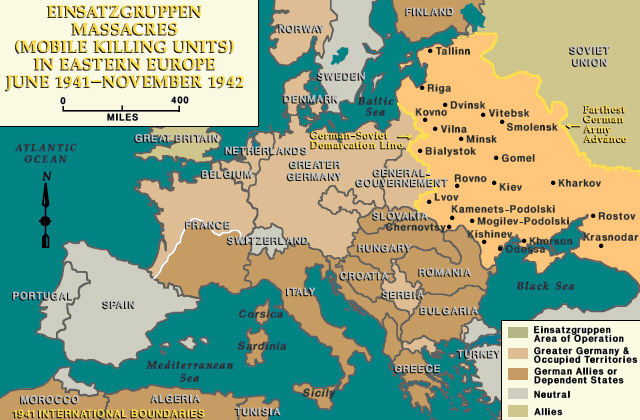 They were first seen in action in Austria and the annexed parts of Czechoslovakia in 1938, as German forces occupied all (in the case of Austria) or certain regions (in the case of Czechoslovakia) of these countries in relatively peaceful annexations to the Reich. For the Polish campaign in 1939, Reinhard Heydrich, Chief of Reich Security, formed 6 major Einsatzgruppen der Sicherheitspolizei; five of these units were attached to the advancing German army, whilst the other unit was designated for service in the Posen (Poznan) district. 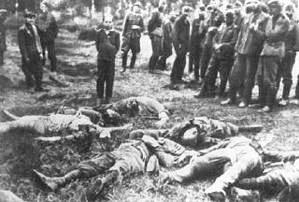 The total strength of the Einsatzgruppen during the Polish campaign, was approximately 2,700 men. Their prime role was the arrest of the politically unreliable, confiscation of weapons, police intelligence and actions against Jews. From 1 September to 25 October 1939, over 500 towns and villages were burned and over 16,000 people were executed by the Einsatzgruppen. Far more infamous were the Einsatzgruppen which were formed in the spring of 1941 for the campaign against Russia. 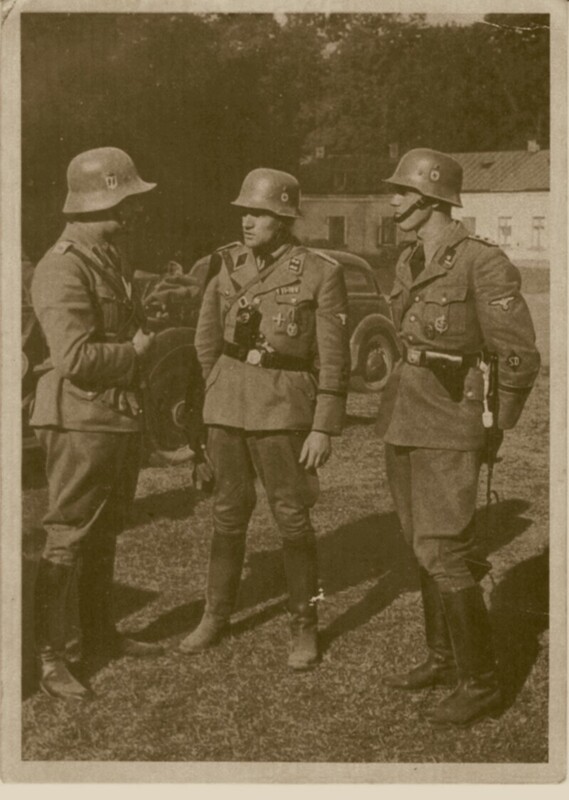 Adolf Hitler issued an order that the Security Police and Security Services would assist the army in combating resistance behind the front lines. 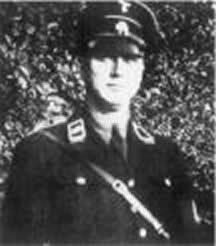 The Einsatzgruppen commanders were carefully selected by Heydrich from the best educated and most fanatical Nazis. The Germans formed four Einsatzgruppen. 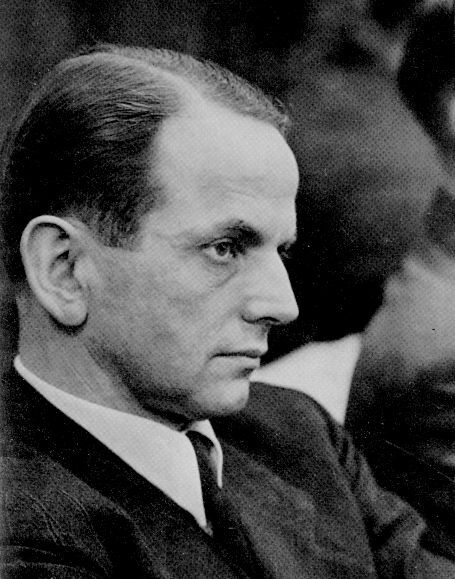 Three of the four commanders held a doctorate, whilst one was a double PhD; Dr Franz Walter Stahlecker ( Einsatzgruppe A), Dr. Dr Otto Rasch ( C), Dr Otto Ohlendorf (D). 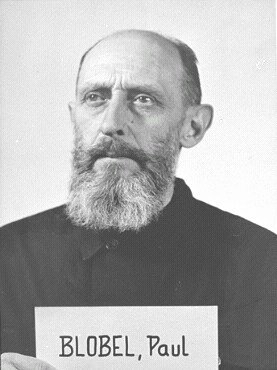 Einsatzgruppe B was commanded by Artur Nebe, then head of the Criminal Police (Kripo). 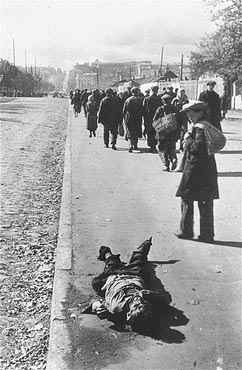 The Einsatzgruppen’s general method of execution was shooting, although some gas vans were used. The victims were ordered to report to a central location, or were rounded up in organised man-hunts, often using local militia. Usually they were taken to remote spots and shot. When conducting executions by shooting, the Germans would frequently use existing ravines, sand-pits, quarries, or abandoned Russian anti-tank ditches. If no such facility existed then the Germans would make the victims dig their own graves. Very precise records of the Einsatzgruppen activities were maintained. The Commanders in the field were required to send regular operational reports to Heydrich in Berlin. Many of these reports have survived, and were used at War Crimes trials at Nürnberg. Most Einsatzgruppen were disbanded as late as 1944. Einsatzgruppe D was the exception, being disbanded in July 1943, but in those few short years their combined deadly activity had claimed over seven hundred thousand lives. 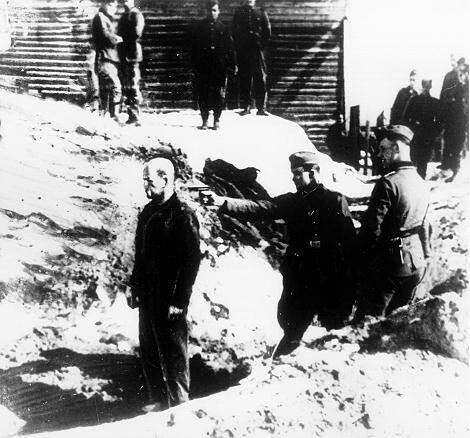 The Einsatzgruppen commanders and officers were tried at Nürnberg and elsewhere. 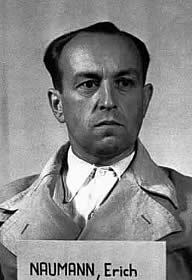 Seven were executed, including Blobel, Ohlendorf, Naumann and Schöngarth, but whilst over 50 Einsatzgruppen officers were brought to trial, the sentences they received were frequently lenient in comparison to the severity of their crimes. French L Maclean. The Field Men. 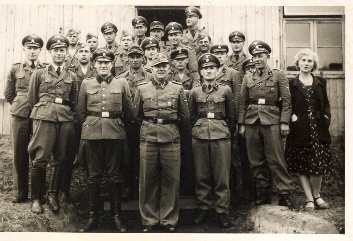 The SS Officers who led the Einsatzkommandos, Schiffer Millitary History Atglen PAl, 1999.